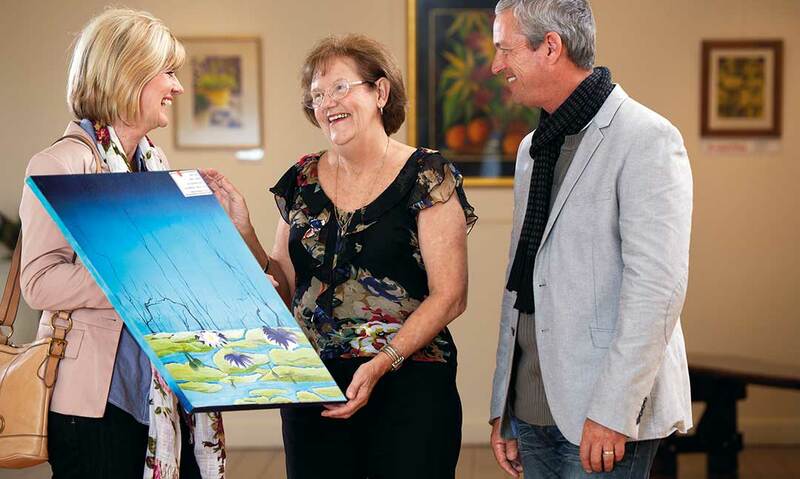 The Wondai Regional Art Gallery is recognised as one of the best galleries in rural South East Queensland. It plays an important part in the region’s cultural life and development as well as contributing significantly to the South Burnett’s tourism industry. The gallery is housed in the original Wondai Station Master’s House. Click here to see details about our current exhibition. The gallery provides opportunities for people to develop and display their artistic skills as well as showcasing the region’s art and culture to the visiting public, bringing long term benefits to individuals and the community at large. To keep up to date with the latest gallery news visit us on facebook. The National Gallery, Canberra, has the original ‘Blue Poles’ painted by Jackson Pollock but the South Burnett has 14 of its own blue poles, each adorned with two artworks. This unique way of taking art to the people and ‘the pole’ are a real talking point for visitors, with many a photograph taken next to one of them. Every two years the paintings are taken down and auctioned and new artworks take their place. Exhibiting artists with work displayed in the Wondai Regional Art Gallery are invited to produce paintings using just four basic outside house paint colours on donated boards. 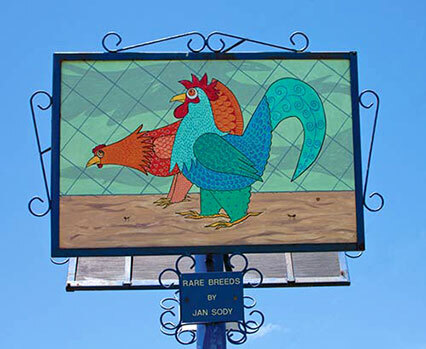 These painting are attached to the 14 poles situation throughout the shire. Nine of the poles are located in Wondai, one in Tingoora, two in Proston and two in Murgon. Beginning in February of 2003 by Alison Izlaub, the latest update of the pole’s artwork took place in early 2018.